“No one comes to school anymore,” said a high school teacher who identified himself by his family name Kim. “Only when students have an appointment with their home room teacher, to discuss which college they would go to, they briefly visit school,” he added. After the College Scholastic Ability Test (CSAT) on Nov. 7, high school classrooms of most seniors are anything but ordinary. The most distinctive thing is the absence of students and teachers when the school year has not officially ended. Recently, local television programs showed live footage of high school seniors’ classrooms, where students were playing poker and some were even sleeping on a floor mat near the back of the classroom. It shocked many and called for some kind or any kind of action. “What you have seen in TV is for real. At this time of the year, the same thing happens ― students don’t come to school, and even if they do, they do nothing in class, while teachers turn a blind eye,” a high school teacher in Gyeonggi Province said languidly. But there is a reason for students being absent. Under the current university entry system, there are two ways to apply for college: one can either apply under the “non-scheduled” admission system usually in September and November, or go for the regular admission in December. For the students applying for non-scheduled admission, only a minimum CSAT score is required and the test scores for the final exam in December are not considered during the screening process. 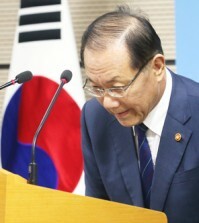 Lee Hyun-seong, who secured an early ticket to a university, complained that he finds no reason to come to class, because the time could be better spent. Ryu Jin-a, 19, who wants to go to music school, says she has no time to waste in classrooms. Instead, she is stuck at her musical institute, where she practices the piano up to nine hours a day. “The moment the CSAT is over, the real game starts,” said Ryu. According to her, the practical examinations she would have to undergo are all scheduled in January. “Those two months after the CSAT is really important for me. But schools don’t set aside time for me to practice. So I don’t attend school during these two months,” she added. 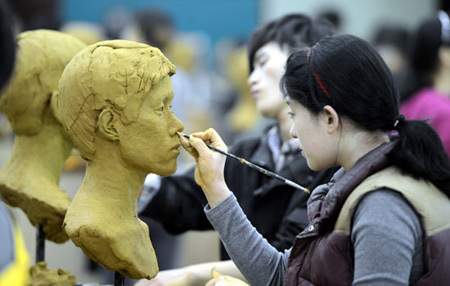 Like Ryu, other art students and athletes find themselves busiest after the CSAT, while most other students are busiest before. Most practical examinations are held in December and January. To these students, it is often the case that practical examinations are worth more credit than the CSAT. It is all the same for athletes. They drop everything and focus on their training during December and January for their practical examinations. “Teachers often excuse their student athletes from classes because they know these students have to devote all their time to training,” said a local sports academy staffer. However, it is not all about art students or athletes. Some students who have yet to take essay tests say it is better to find education away from school. “Private educational institutions are much more specialized in this area and so I assume they would be able to advise me better on how to perform well in the essay exam,” said Lee Hyun-joo, a high-school senior, preparing for the Seoul National University’s writing examination, slated for Jan. 14. “I heard that the essay writing examination will be discontinued beginning next year, but it still pertains to me this year, so I’m spending as much time as I can, preparing for it,” she said. Yet others with part-time jobs appear in school sparsely. Park Seung-bum, 19, a senior at a high school located in Suwon, Gyeonggi Province, said that he needs to earn enough for tuition. Thus he comes to class for just enough days to meet the minimum requirement not to be flunked. 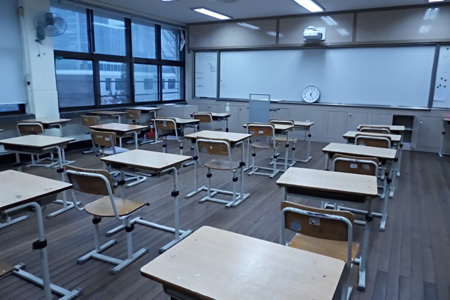 Faced with the graphic report of local media outlets about unruly and lawless classroom scenes, the Gyeonggi Provincial Office of Education issued orders to “normalize” classrooms, prohibiting schools from shortening class hours. However, the measure has been under attack not only by students but also teachers as soon as it was announced, leaving teachers sandwiched in-between. The website of the education office has been plastered with students’ messages, calling for its cancellation. Some parents angrily posted comments, asking whether the education office will bear the blame if their children fail to get into college, since they are locked up in classrooms and cannot spare time to practice for art schools. Other teachers pointed out that schools lack proper programs, saying that if the education office offers a selection of free programs where students could learn sports or musical instruments, students would willingly participate. 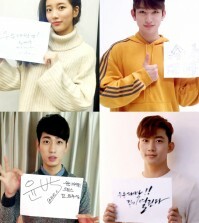 Kim Ji-young, high school senior said that she would like to attend pre-college courses or have vocational training during the time. “The overhaul of the education system, coupled with people’s mindset that high schools only exist as a passage to higher educational entity, should be changed,” Lee added.